"Wedding 011a" by Walter is licensed under CC by 2.0. 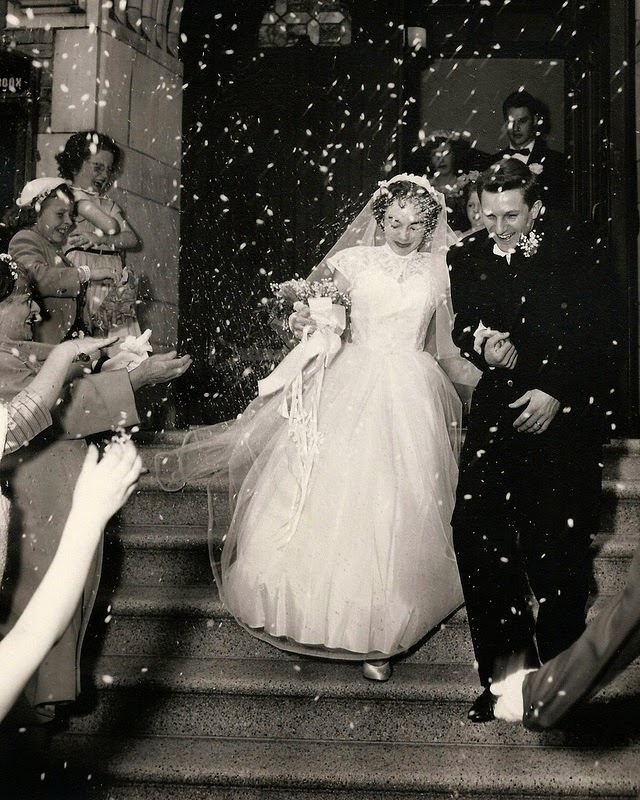 "Authentic married love is caught up into divine love and is governed and enriched by Christ's redeeming power and the saving activity of the Church, so that this love may lead the spouses to God with powerful effect and may aid and strengthen them in sublime office of being a father or a mother. For this reason Christian spouses have a special sacrament by which they are fortified and receive a kind of consecration in the duties and dignity of their state. By virtue of this sacrament, as spouses fulfill their conjugal and family obligation, they are penetrated with the spirit of Christ, which suffuses their whole lives with faith, hope and charity. Thus they increasingly advance the perfection of their own personalities, as well as their mutual sanctification, and hence contribute jointly to the glory of God."